Khloe started her nonprofit organization at the age of 8 years old. 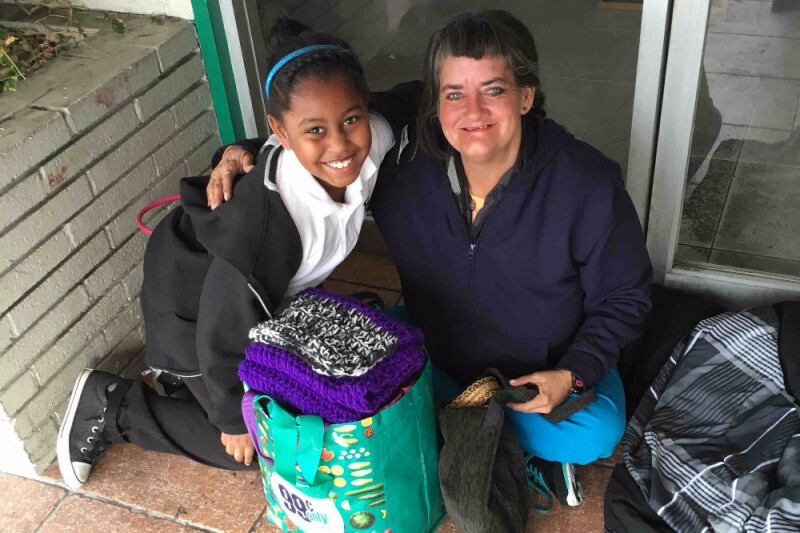 She noticed homeless people in the community and wanted to do something to help. She first created a successful GoFundMe campaign in 2016 after she was able to support her "Kare Bags" project, something she started with the passion to, "Inspire other kids to be great and make their mark on the earth". She was able to raise $18K for the Khloe Kares Project. So with the help of her family they came up with making "Kare bags" and passing them to homeless women. In just two years Khloe has passed out over 800 Kare bags. Khloe ultimate goal is to have a community center. She doesn't want to wait until she is out of high school to get this center up and running. The Khloe Kares community center will be a place where homeless people can go during the day. - Play area for kids so their parents can research shelters and find work. - A fully functioning kitchen to serve hot meals. The end result/reward is to make a difference in someone's life, and help them get off the streets with the hope they have the chance at a better opportunity at life. Khloe will continue to give her Kare bags and help supply bare necessities to those in need. Khloe knows that the answer to help solve homelessness is to give resources to help people get back on their feet. Giving a helping hand can solve a lot of problems. We will work with the city to open up a facility that will cater to helping the homeless because we need more centers like this. Khloe has traveled to Africa and has raised funds to install water pumps and bathroom facilities. Mentoring kids to be the change in their community and speaking about the importance of giving back and doing your part is what drives Khloe. She knows that anything is possible and that having this community center is possible. Is there an address where I can donate items? Just saw you on the news ... aren’t you an amazing Angel from Heaven. There are many ladies that travel the world. We can bring you the hotel sewing kits, lotions, shampoos and soaps for your bags if you are interested. Love your story! Love that they have a bag to keep forever, and can pay this forward!